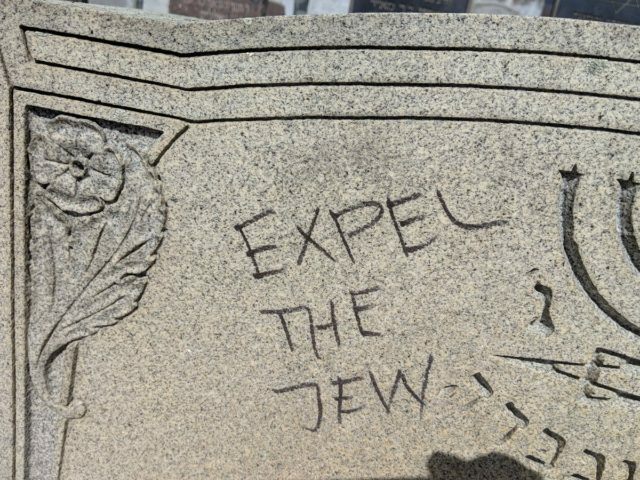 (AP) FALL RIVER, Massachusetts — Police say 59 gravestones at a Jewish cemetery in Massachusetts were defaced with anti-Semitic graffiti, about twice as many as initially thought. No arrests have been made and police say they have no suspects. The Herald News reported that rewards totaling $12,500 are being offered for information that leads to an arrest, including $10,000 given anonymously to Congregation Adas Israel, a city synagogue.